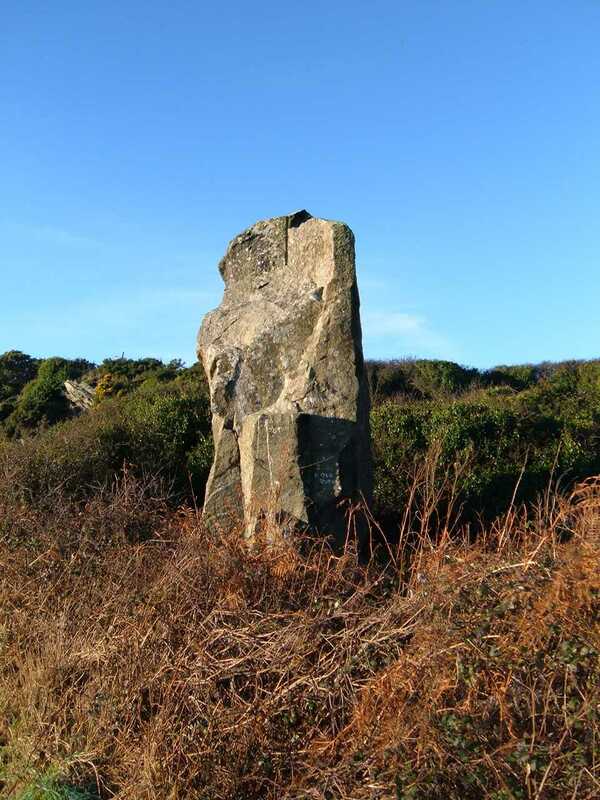 Carreg y Bwgan (Bogey Mans Rock) Standing Stone on the island of Anglesey. 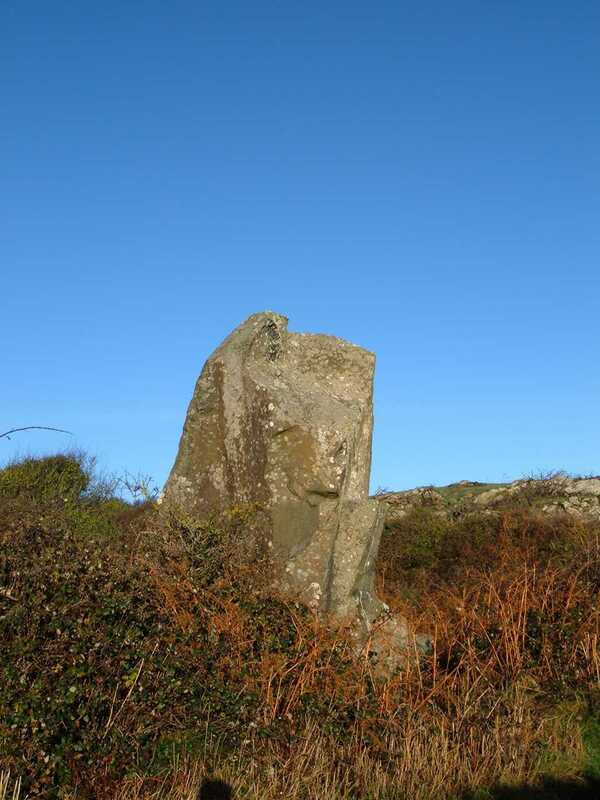 Carreg y Bwgan is of course not an ancient monument, but as it so well known to everyone in Holyhead as a local 'standing stone' I will include photographs of it here - purely out of interest. 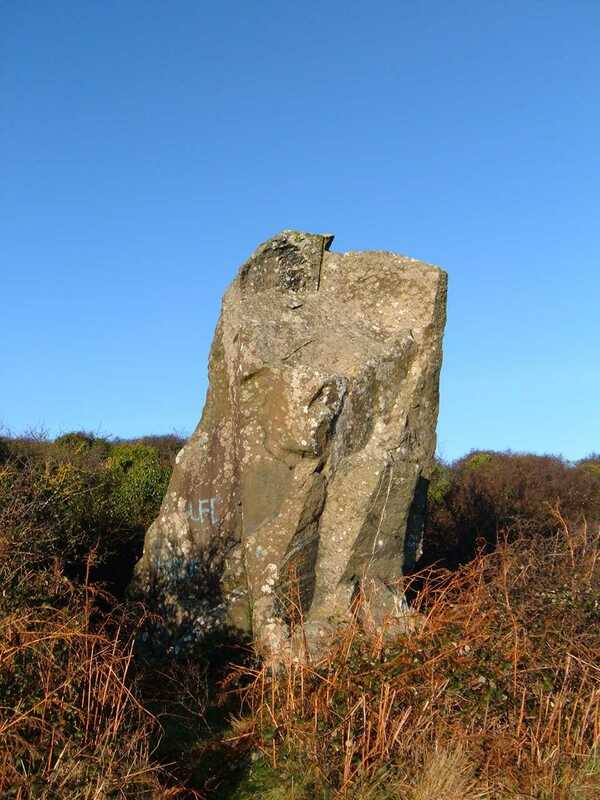 To locate Carreg y Bwgan from Holyhead you should take the road in between the 'Angel' and the 'Forresters Arms' public houses. Stay on that road and after approximately one half mile you will see it on your right.